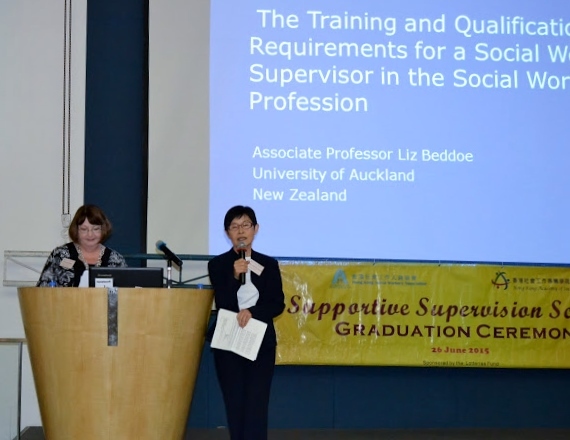 As an example of growing collaboration internationally on research on supervision, I was recently the guest of the Hong Kong Social Workers Association. Here’s a brief story about this event. and to developing supervision as a specialisation in future. Graduates must be wiling to contribute supervision hours pro bono and retain certification by practising supervision of social workers. Secretary for Labour and Welfare, Hong Kong SAR, Mr Matthew Cheung Kin-chung opened the day with a very supportive speech congratulating the Hong Kong Social Workers Association (HKSWA) on the great success of the first cohort of graduates. Dr Alice Yuk Tak-fun President HKSWA,); Ms Agnes Ng (Project Director, Supportive Supervision Scheme) also spoke. Liz’s 50 minute paper explored “The Training and Qualification Requirements for a Social Work Supervisor in the Social Work Profession”. 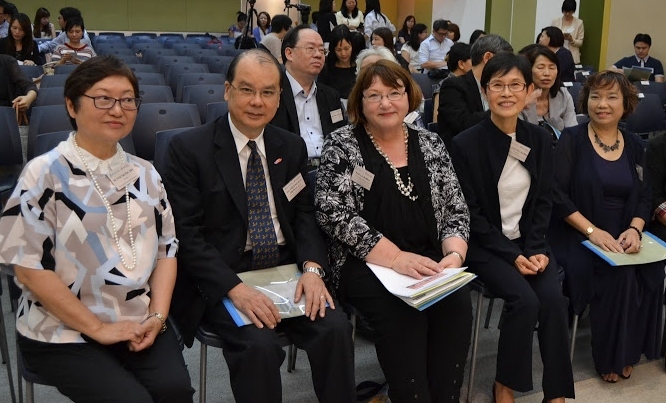 Liz was the guest of the HKSWA and also participated in a roundtable discussion with the scheme advisory committee discussing imperatives for the education and training of supervisors in social work.. 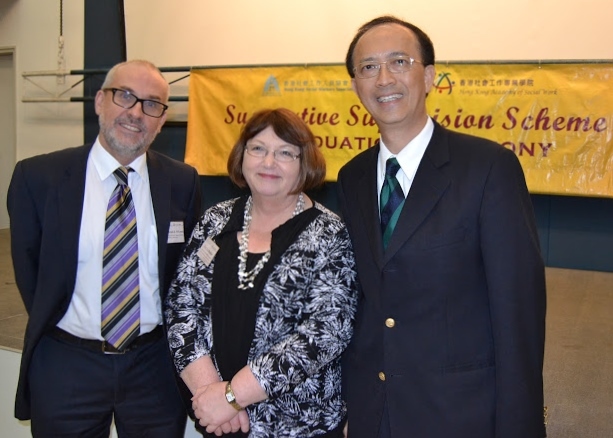 Present also an honoured guest at the ceremony was Professor Ming-sum Tsui (Hong Kong Polytechnic University and a member of the Supervision Research Agenda project and Patrick O’Leary (Griffith University). It was a pleasure to meet so many social workers and NGO social service leaders who are committed to good supervision and professional development for social workers. ← Supervision and developing the profession: One supervision or many?